PERTH AMBOY, New Jersey (WABC) -- A wild police chase that started in New Jersey ended in a head-on crash on the Outerbridge Crossing Monday afternoon. The chase started after a man stole a car in Perth Amboy, and led both Perth Amboy and Port Authority police on a chase toward New York City. 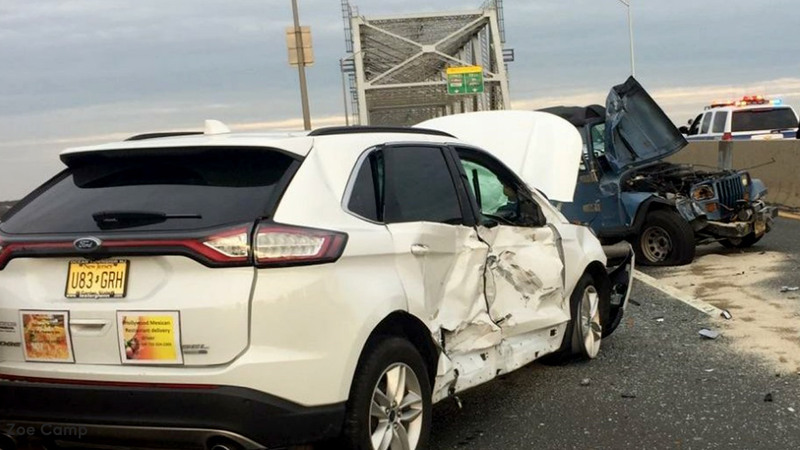 As the driver of the stolen car was going over the Outerbridge Crossing onto Staten Island, the union said he pulled an abrupt U-turn into the NJ-bound lanes and struck another car head-on. The crash caused traffic to be shut down in both directions for quite some time Monday. Both lanes eventually opened after the wreckage was cleaned up.